Awesome Motive HQ, who are the innovators and leaders in awesome user experiences who help businesses gain a competitive advantage, announces the joining of SeedProd, the maintenance mode plug-in for WordPress currently being used by over 800K users. Not only does it allow you to create custom 404 pages, custom landing pages, a notification bar, countdown timers, and custom login page, it comes with a subscriber management and email marketing integrations to connect with your go-to email marketing services like MailChimp and AWeber. So, the founder of SeedProd, John Turner, aligned with WPBeginners accelerator fund and it was decided that a full acquisition would happen and realized the 2 brands together would be more beneficial for existing products. So, product development is on the way. What is next? well, revamping the SeedProd Builder with more features and deeper integrations with existing plugins like WPForms, Monsterinsights, and OptinMonster. Why do you need it? It is the best way to show the world (and Google) that you will be soon up and coming along with receiving emails and creating buzz for your new website. 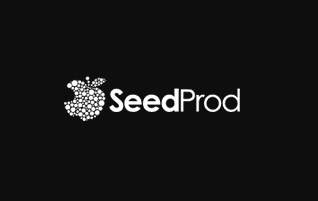 Check out SeedProd and give it a test drive!